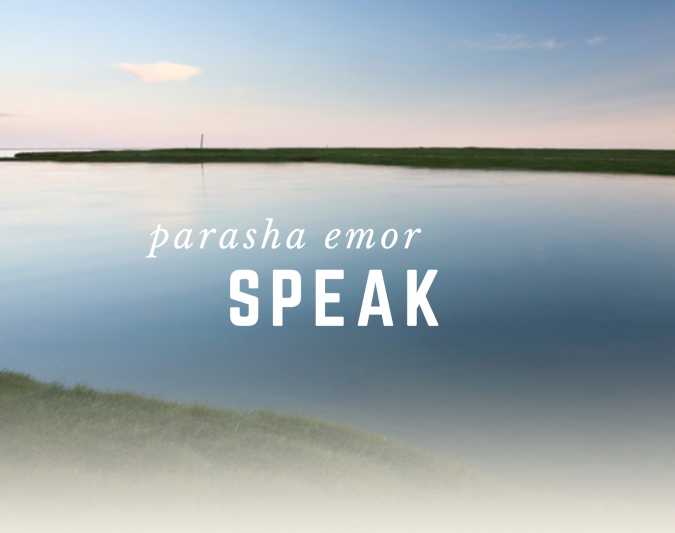 This week’s Parasha called Emor (Speak) teaches us about holiness of the priests, holiness of gifts given to the Lord, holy feasts of the Lord and holiness of the Lord’s name. It is as if God wants to emphises in these chapters (Leviticus 21:1-24:23, Ezekiel 44:15-31) that everything in Him and related to Him is holy and should be kept holy. Especially those who serve the Allmighty Creator in His Temple should guard themselves for not making themselves unclean by contaminating themselves. It’s interesting what God speaks to Moses about the priests and why they should not contaminate themselves as other ordinary people were allowed: “He may not make himself unclean, because he is a leader among his people.– rather they are to be holy, for their God and not profane the name of their God. For they are the ones who present Adonai with offerings made by fire, the bread of their God; therefore they must be holy” Lev 21:4, 6. I’ve heard many times a saying that “The true authority in a nation is not excercised by the Parliament but church.” God told Moses, and also Ezekiel, that the priests were leaders of their people! As we are refferred to God’s priests in the New Covenant we should excercise our authority in our nations through prayer and righteous actions derived from prayer. In the times of Moses, keeping oneself holy and not contaminated meant things such as not cutting one’s beard, not touching a dead person or animal, not to marry a prostitute or a widow, etc. In our times these kind of outer gestures won’t really distinguish us from the crowd nor lead to much authority among people around us. Rather it is the circumcision of the heart, the inner person that ought to be kept pure and not contaminated. The thoughts of our hearts and our minds are the ones that produce either acceptable or non-acceptable service to God. It was probably not easy in Moses’ times to live as a priest and it is certainly not easy in our time either. Many times the process of sanctification hurts because it means our own flesh, our own desires, dreams and ambitions must die in order for us to receive the holy and high calling from the Lord. But my friend, it is certainly worth the cost! There is nothing this world could offer us better that what our Heavenly Father in His fullness, loving kindness and mercy wants to give to His children. It is our choise whether we want to accept the priestly calling or not, but it is always offered to us. Among nations Israel faces the same choise as we individuals: God has called Israel to be a priestly nation in the world, to serve Him and to represent God’s holiness among nations. As we consider stepping into the high calling the God of Abraham, Isaac and Jacob has for us, let us also pray that Israel would accept its calling and start living a holy and glorious future God has prepared for it.